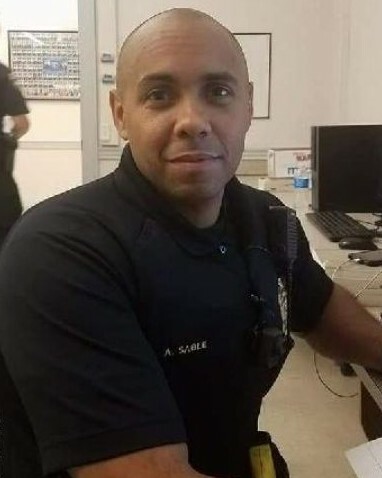 On behalf of POINT 27, we would like to offer condolences for Police Officer Alex Isai Sable. Please know we are eternally grateful for Alex’s service and his ultimate sacrifice. To honor Officer Sable, POINT 27 sent 27 Thin Blue Line Dog Tag Necklaces, engraved with “Blessed are the Peacemakers for they will be called children of God” Matthew 5:9, to the York City Police Chief, for Alex’s partner and fellow officers. POINT 27 sent Folded Flag Necklaces engraved with “Greater Love has no one than this; than to lay down one’s life for one’s friend” John 15:13 for Police Officer’s Alex Sable Family. On behalf of my family, I extend our sincerest condolences on the grievous loss you suffered when Alex died in the line of duty. To the Sable family, fellow officers , and all who call Alex beloved, my heart goes out to all of you and may you find comfort in your loved ones and your strength in your faith. When my son was killed, the entire law enforcement community in our area embraced us in a circle of love and support, and I know you will receive the same support. It makes the unbearable less torturous, and I pray for your solace. I hope that your family knows that a nation mourned for you. My son was also your brother in green so I thank you for your service in the Corps and bid you Semper Fi. This reflection is sent with the utmost respect for the dedicated service Alex gave to his community and the citizens of Pennsylvania and for the supreme sacrifice he and his family made on May 9th, 2018. Thank you and your family for your sacrifice. May you rest in the arms of the Lord. Our sincere condolences to his Family. May our God bring strength and peace to your hearts. Officer Sable, thank you for all your selfless service to us. It is a sad situation to say the least. God Bless, you Brother and may you of all eternity, rest in peace. Thank you for your service God Bless! I have lifted your family to God every morning for over six years. I pray that Alex's life and death will bring glory to His name. Rest In Peace brother, Semper Fi. God bless Officer Sable's family, friends and coworkers and give them strength and peace to get through their grief and pain. Thank you for your service brother. Till Valhalla brother. Thanks for your service to your community and to the nation. On behalf of the Klamath County Sheriff's Office in Klamath Falls Oregon, we send our sincerest sympathy in the recent loss of your Officer, Alex Sable, while participating in a SWAT training exercise. It is always a huge loss when a fellow officer makes the ultimate sacrifice. His bravery and courage to protect and serve your community has not gone unnoticed. On behalf of the Zone Five Regional Law Enforcement Training Academy, we send our deepest condolences to the friends and family of Officer Sable. God Bless. So to our dedicated Officers, especially Officer Sable, we love, honor, and appreciated you. For you are Heaven's Hero. God's army dressed in blue. RIP my brother. Rest in peace Officer Sable, my sincere condolences to your family and to your department. God speed as you now patrol the streets of gold. Your ultimate sacrifice will not be forgotten.